The cheesesteaks were yummy, with tender and flavorful beef. 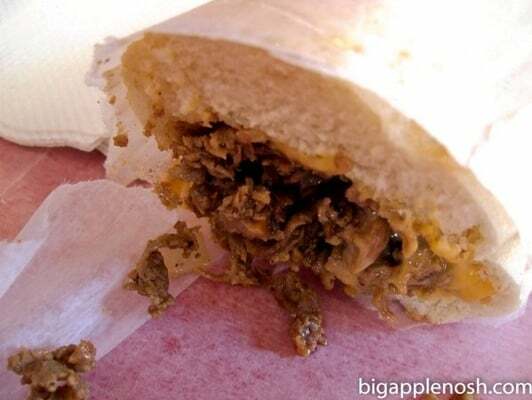 The bread is a little soft, tending towards sogginess – cheesesteak aficionados: is that authentic? 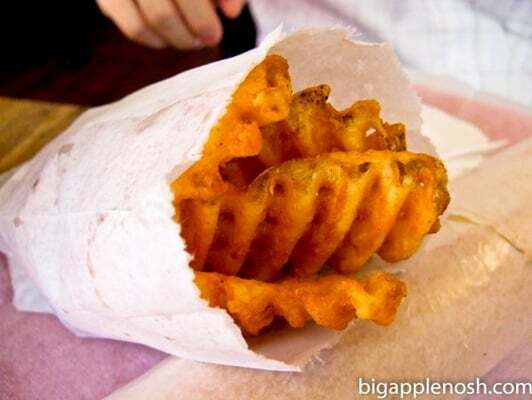 I’m partial to waffle fries because of the high surface area-to-interior ratio (the more to fry with, my dear), and these didn’t disappoint. Fresh from the fryer, they were warm, crispy and just the right amount of greasy. Service was passable. You order at the counter and wait for your name to be called. When we went, it lagged a bit, but the food made up for it. Ambiance consists of a few tables and flat screen TV showing the sport of the day. Good for a quick fix if you need a cheesesteak, and if you’re a student, you get a discount.